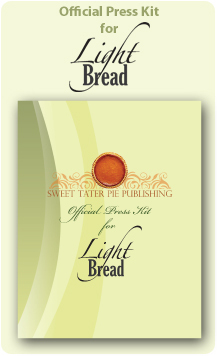 in first year, and now approaching 11,000 including e-book formats! and allow a few minutes for complete download. We all know her. That go-to person for all our troubles. 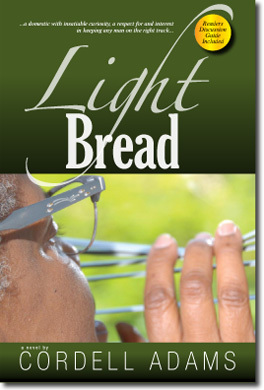 And in his debut novel, Light Bread, Cordell Adams gives readers that person in the form of Veola Cook, who just about everyone in Parkerville, Texas, comes to count on when they need a little homespun wisdom and propping up. Adams has created a warm, caring, colorful and insightful character who will be a delight for readers. A woman with the wisdom to avoid trouble and the insight to handle it, if it rears its ugly head." - Robert Greer, author of seven novels in the CJ Floyd mystery series (the latest two, The Mongoose Deception and Blackbird, Farewell), two medical thrillers, and a short story collection. 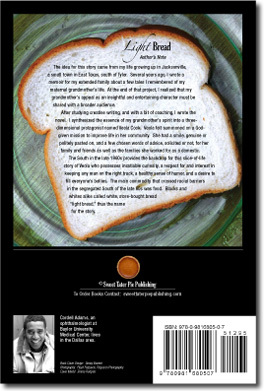 Cordell Adams' wonderful debut novel, Light Bread, took me back to my youth in East Texas. He describes the times, the people and their circumstances with stunning accuracy. Ms. Veola is a true character and I found myself cheering for her through her tribulations to the satisfying ending." "An Evening with Cordell Adams"